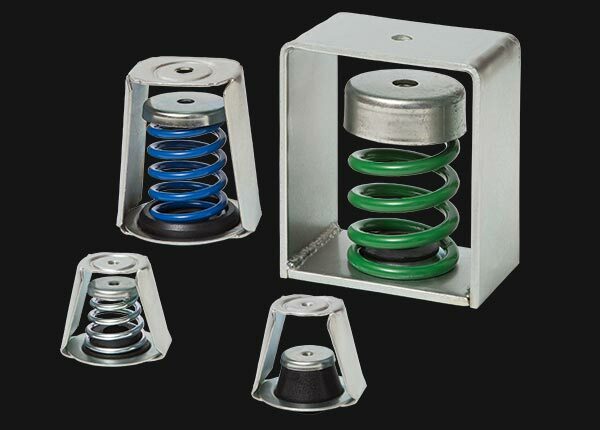 EZ FLOT TR series is composed of metallic frame antivibrators, specifically designed for ceiling suspension and/or metallic structure, ducts, or machinery suspension. Its main advantage is the ability to deflect sound and low-frequency resonance, which isolates all type of machinery working at a steady low cycle. Can be used to isolate equipment heavier than 5 Kgs (11lbs).